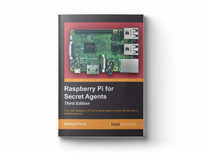 Created for all mischievous Raspberry Pi owners, this book will show you how to transform your computer into a neat spy gadget through practical pranks and projects. 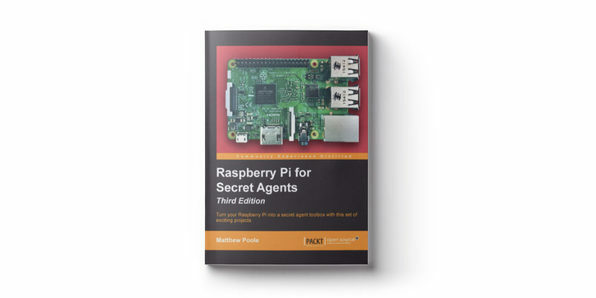 You'll learn how to set up your Pi and configure your operating system for maximum mischief, working with audio, video, and WiFi techniques. Matthew Poole is a systems engineer based near Southampton on the south coast of England, with over 20 years of industry experience. After graduating in electronics and communications engineering, he went on to train as and become an air traffic engineer for Civil Aviation Authority, UK, working on microprocessor-based control and communications systems. Later, he became a software architect and mobile technology specialist, working for several consultancies and global organizations in both hands-on architecture and product-management roles . He is now a partner at Connecting Objects, a boutique systems consultancy focusing on the design of Bluetooth and other wireless-based IoT systems, taking ideas from concept to prototype. He is also the Director of Technology for Mobile Onboard, a leading UK-based transport technology company specializing in bus connectivity and mobile ticketing systems. This practical guide will guide you through the many uses of he Raspberry Pi and allow you to showcase the best it has to offer. 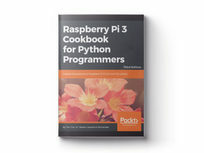 You'll begin by setting up the Raspberry Pi and performing tasks using Python 3. The more you work through each chapter, you'll be able to apply your skills to more topics in the book until you're eventually able to automate tasks, build applications, create games, and more. Tim Cox lives in England with his wife and two young daughters and works as a software engineer. His passion for programming stems from a Sinclair Spectrum that sparked his interest in computers and electronics. At university, he earned a BEng in Electronics and Electrical Engineering, and into a career in developing embedded software for a range of industries. Supporting the vision behind the Raspberry Pi, to encourage a new generation of engineers, Tim co-founded the MagPi magazine (the official magazine for the Raspberry Pi) and produces electronic kits through his site PiHardware. 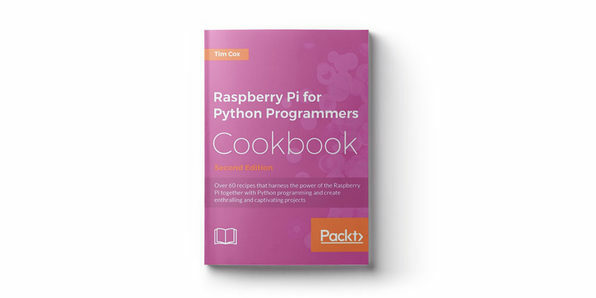 This new edition of the Python Programmers' Cookbook takes you even further into utilizing Python to create incredible projects on the Raspberry Pi. 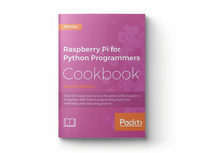 Across 60 recipes, you'll develop your skills and delve into more advanced topics. 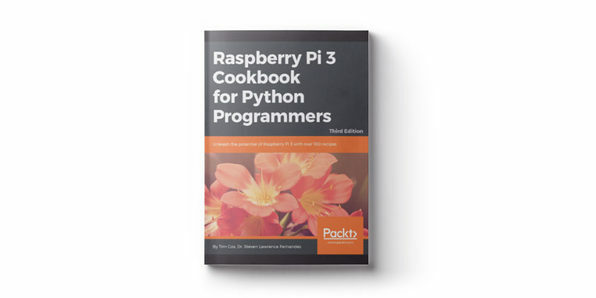 Ultimately, you'll build your own Pi-Rover or Pi-Hexipod robots and take a deep dive into Pi add-ons and their ability to help you interface with common household devices. Want to learn about supercomputers? Who doesn't? In this book, you'll learn how to quickly assemble and operate a Pi 3 supercomputer in the shortest possible time. The lifeblood of a supercomptuer, the MPI code, is introduced early, and sample MPI code gives you additional practice opportunities to test your creation. You'll learn how to configure various nodes and switches so they can effectively communicate with one another, and by the end of the book you'll have a fully-functioning supercomputer. Carlos R. Morrison was born in Kingston, Jamaica, West Indies. He received a B.S. (Hons) degree in physics with a mathematics minor in 1986 from Hofstra University, Hempstead, NY, and an M.S. degree in physics in 1989 from Polytechnic University, Brooklyn, NY. In 1989, he joined the NASA Glenn Research Center, Cleveland, OH, as a staff scientist in the solid-state physics branch and, in 1999, he transferred to the structures and dynamics branch. He has authored and coauthored several journal and technical articles associated with aerospace and electromagnetic devices. He holds several patents, including one on the Morrison Motor for which he won the 2004 R&D 100 Award, and software technologies used to control magnetic bearings. He is currently engaged in research associated with room temperature and superconducting reluctance motors, and Simulink Simulation of said motors. Mr. Morrison is a member of the American Physical Society and the National Technical Association.